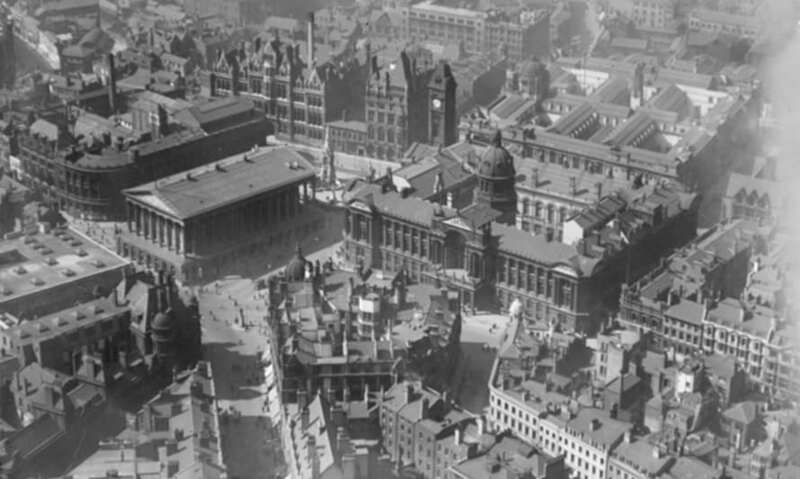 Town Hall and Council House on Victoria Square, Birmingham, 1921 - Britain from Above. A few thoughts from Flatpack Director Ian Francis on last week's Arts and Culture Summit. So why did people come away from this event feeling enthused and excited? It may have been the free lunch, or the guest speakers, but mainly I think it was the sense that our leaders might actually have a clue about culture and the role it can play in Birmingham. When he regained office in May after eight years one of Bore’s first moves was to cut the cabinet role for Leisure, Sport & Culture, and the onus was on him here to show that this doesn’t mean a sidelining of the arts. In fact his opening and closing remarks showed a genuine understanding of what people get out of culture, a determination to maintain support for it, and an acknowledgement that there is ample room for improvement in the way the city council and the arts sector work with one another. Back then Albert Bore was Chair of Economic Development, and when he announced this Summit many wondered whether we might be due for a rerun of the 1988 Highbury symposium which informed the regeneration plan. The rhetoric last week was quite different though: “Birmingham’s success in the arts cannot rest solely on a small number of large institutions; smaller cultural providers often provide more bang for buck.” There’s pragmatism at play here, in the light of those shrinking budgets, and politically it makes sense to discredit the policy of the previous administration. However there was also a clear recognition that a polarised and predictable funding regime has helped lead to a stagnation of the city’s cultural offer. This didn’t play out as antagonism towards the ‘big boys’, but a sense throughout the two days that there was a more interesting and multi-faceted story to be told about the city’s creative ecology. A handful of international guests helped us to reach for that story. Julie Burros gave an account of how the city of Chicago involved its citizens in formulating a new cultural plan, a process that hasn’t happened for twenty years there and encompassed everything from knitting groups to symphony orchestras. The result was a set of ten overarching priorities which most cities could happily sign up to, and hundreds of specific, costed initiatives, a third of them costing somewhere between nothing and $50,000. From Rotterdam, Reinier Weers talked about how his organisation helps to coordinate the city’s huge number of annual festivals. For years this model has been held up as a paragon in Birmingham without any sign of it being adopted, but there are definitely lessons to be learnt from the festival unit’s arms-length relationship with the city, and from its galvanising of grassroots activity. This corralling of external experts could be seen as typical Brummie insecurity – the kind of cultural cringe which leads us to hire over-priced consultants, and co-opt Stratford-on-Avon into our cultural city bids – but our willingness to confront thorny local questions in the company of these guests showed some confidence, and an understanding that ultimately we’d have to work out the answers for ourselves. The event wasn’t without its flaws: there was nowhere near enough time for discussion, and expecting coherent action points to emerge from half an hour or so of disjointed workshop debate was optimistic. However the emphasis on action gave the thing some urgency, and shifted us swiftly on from the usual stock phrases (diversity, youngest city in Europe, must shout louder, etc). That said, youth and diversity were recurring themes throughout, and the main challenge to the arts community was around widening participation. The Birmingham arts audience is older, whiter and more affluent than the average resident and this was reflected in the audience for the summit itself, even if the soapbox slots scattered through the schedule provided a hint of variety and some room for provocation. During networking at lunch it was telling that one arts employee who happened to be under 30 was asked ‘So, are you an intern?’, and many outside the room complained via Twitter that this vision shouldn’t be shaped only be those able to take two days off. A youth equivalent of the summit was mooted, and it might also be worth considering the town hall meeting approach employed in Chicago. 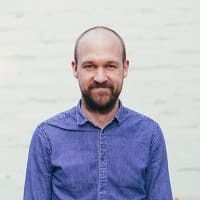 During a talk on Birmingham Opera’s work Graham Vick posited a more fundamental approach to opening things up, one which aims to build equality of opportunity into every aspect of a production. He advocated continual self-questioning (‘sustainability means nothing unless you are certain that what you have is worth sustaining’), and took a robust line on education and outreach departments which can help to duck ‘the responsibility of art to speak for itself.’ For some, BOC’s Mittwoch Aus Licht may be the essence of elitist high art folly (million pound budget, £35 tickets, six hours of cosmic opera), but its improbable success has encouraged us all to dream a little bigger. Whether there will be any money to make those dreams happen is another question. Like many others Bore is betting on philanthropy to help fill the gap, and concluded the summit by announcing an initiative to bring together the arts and business communities. This is welcome, but if a project like Mittwoch can only achieve a fraction of its modest target for corporate fundraising then there’s not much hope for us small fry. According to the council’s own recent Arts Survey, sponsorship of culture in the city has fallen by 68% over the last three years. The financial picture remains bloody depressing, and there’s no doubt we will see more organisations go under in the coming years. Setting aside the small matter of money, though, this summit did raise genuine hopes for a bolder, more imaginative approach to culture in Birmingham. Many of us are used to receiving very little support from the city, but a clued-up local authority with vision could really make a difference in encouraging everyone to feel that they have a contribution to make, that the endeavour is worth sticking with. In this vein, I’d like to finish by suggesting four areas that warrant immediate attention. Geography. The polarised nature of Birmingham’s cultural scene is writ large in its landscape: a few key venues in the city centre, with the rest tucked away on the margins. The challenge for small retailers and bars is very similar. Being on the margins can be a positive thing – the ‘B-Town scene’ recently cooked up by the NME sprang from late-night sessions at the Adam and Eve - and independent culture can’t be engineered by local authorities, but it can be encouraged. BCC has a role to play in ensuring that areas like Digbeth are less confusing or daunting to visit, that residential developments aren’t springing up next door to established music venues, and that empty buildings are being put to productive use. Equality. As noted there’s a lot to do in this area, and in terms of new makers as much as new audiences. Tight finances can lead to conservatism, and I’ve heard funding people acknowledge that they are now much less likely to take a punt on an emerging artist, festival or producer. If Flatpack was starting today what would our chances be? Money is only part of the problem. Anyone applying to the city’s cultural pot, if only for £1000, must climb a mountain of paperwork and supply a raft of documents, amongst them whistle-blowing and anti-corruption policies. Big, lumbering bureaucracies prefer to deal with other big, lumbering bureaucracies. Birmingham must fight its own monolithic tendencies. Strategy. What this city has needed for years is arts leadership with clout, no vested interests, an overview of how everything fits together, and a clear plan for making things happen. Ideally they’d also have good taste, and attend a wide variety of events. One possibility discussed last week was a high-profile cultural ambassador in the Simon Rattle tradition, but I’m not sure it’s a figurehead that’s required. (‘Be careful what you wish for,’ said one guest from Liverpool, ‘or you may end up with a Phil Redmond.’) In any case, this administration could make a massive contribution if they can somehow leave in place an infrastructure that won’t immediately get discarded the next time the political wind changes. My sign-off tweet from the summit on Friday was ‘I hope something good comes of this,’ and instantly I regretted my choice of words. It’s down to all of us to make sure that something good comes of it. 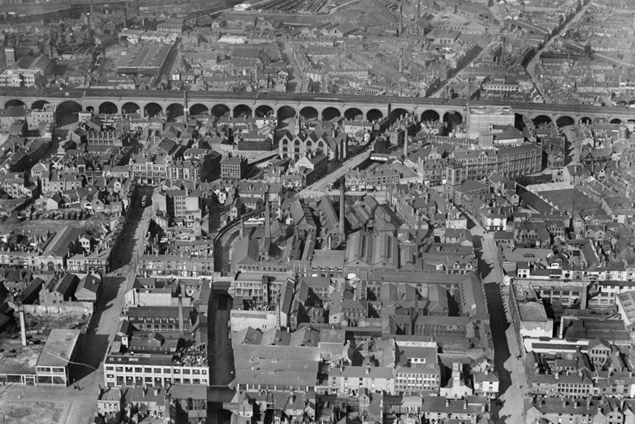 High Street Deritend and environs, Digbeth, 1921 - Britain From Above.